There is a stark difference in durability between blinds and shades. If you want the item to be more on the durable side, then it would be best to opt for blinds. Shades use fiber, whereas blinds are made of harder materials such as aluminum or wood. They have the ability to last for years as they are better suited to handle wear and tear. 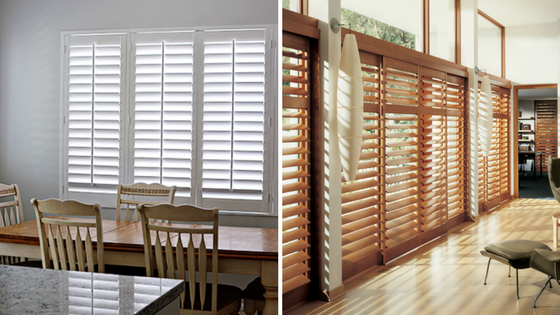 Most of the shutter blinds Kent professionals would suggest you to choose blinds instead of shades as they are more durable. Another reason that has to be taken into consideration when it comes to choosing between blinds and shades is the way you clean both the stuff. You may have come across a variety of techniques to clean blinds and shades, but if you have to clean it on your own, you would want to go for an easier option. Shades have the tendency to get dirty very quickly. This can be cleaned with the help of a vacuum cleaner. You need to use the brush attachment to clean the dirt. On the other hand, blinds can be cleaned quite easily with a soft cloth as they are heavier than shades. Even blinds Kent, UK experts are of the opinion that for ease of cleaning, blinds are much better.